Political activists across the country watched closely as the final chapter of the 2016 Presidential election season was written. Very little drama ensued in Iowa as all six electors officially casted their votes for Donald Trump and Mike Pence on Monday afternoon. 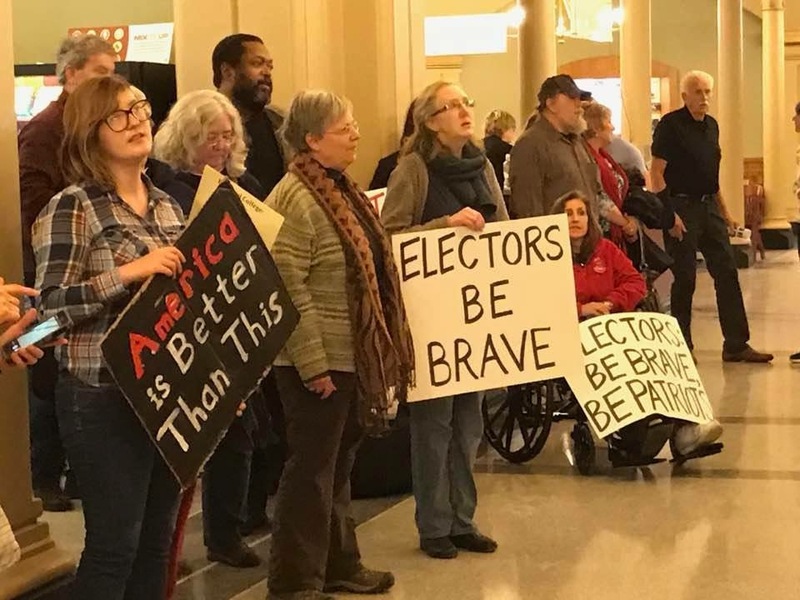 Out-of-state protesters attempted to make their case to Iowa’s delegation as well. Don Kass, an elector from Plymouth County who serves as chairman of the local Republican Party, received roughly 1500 letters urging him not to vote for Trump. The Electoral College affirmed Donald J Trump as President-elect and 45th President of the United States with 304 electoral votes.